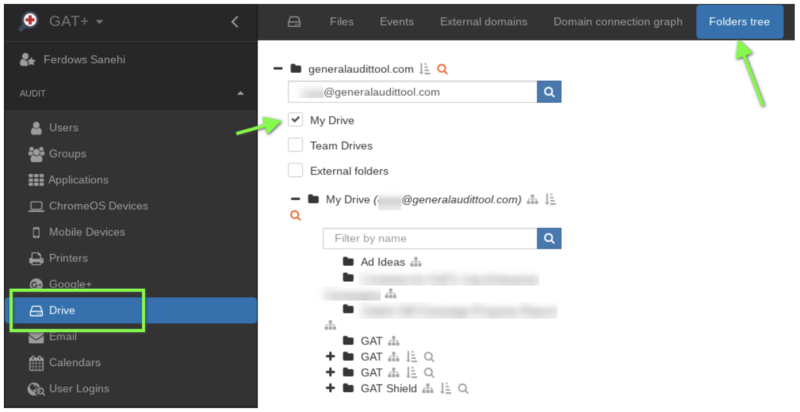 Keeping an organised Team Drive or myDrive folders structure is important so important that GAT+ has a specific tab called Folder Tree. The Folder Tree audit area lays out all of the folder structures for all your users myDrives and Team Drives. You can now search for a specific Team Drive or users myDrive. Once you’ve located the folder you can descend through the folder tree. Click on the folder name to display the ‘Detailed view’ and the ‘Files list’. In the ‘Files list’ you can apply a custom to filter to find files based on a multitude of different search criteria. You can click on the drop-down menu for any file and remove a particular editor or reader.